Teeth become that little thing that gets preserved after death. Teeth are only human bones that protrude through skin throughout life. In order to appear, teeth tear apart soft gums, causing the child to cry for months in pain. 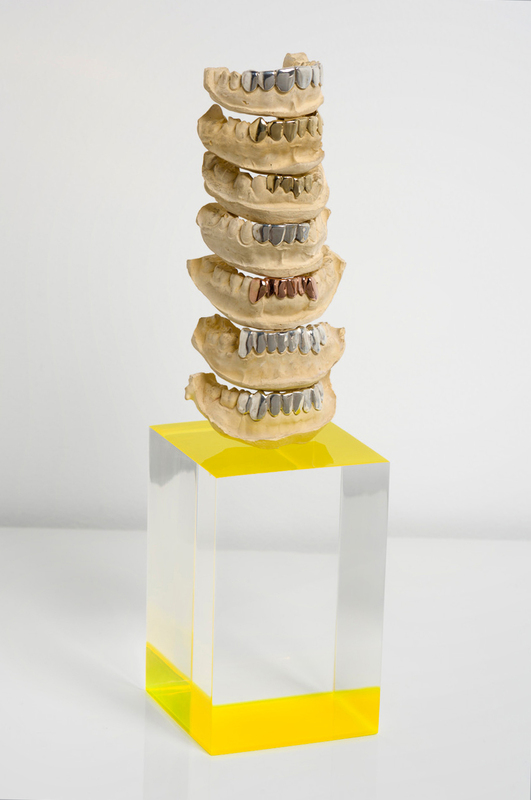 Teeth grow in order to divide food into parts, transforming matter and preparing it for further processing by the body. A person's smile is a remnant of the predator ancestor’s grin, that once served as a warning sign for enemies that a man could stand for himself. Thus, from emergence until the moment of death of the carrier, teeth play a personification of violence, and only after his death become a symbol of eternity. Ancient Maya and Etruscans either decorated or protected teeth in one way or another, and jaws with decorated teeth found by archaeologists date back to the 25th century BC. Tradition is still alive: it is considered chic for people who want to present their wealth to the world to put precious stones and golden crowns on their teeth. It would be too naive to believe that people decorate their teeth only for this reason. The decoration on teeth is the only decoration that a person can take with him into eternity. But what is eternity for men? This is a place where men no longer exist. To belong to eternity, a person can only be turned into earth and compost, being all ground up in the same way as the food in his mouth is grinded by teeth every day. Eternity for men is a place of endless fertile lands, fertilized with compost of countless deaths. But a person is warmed by the hope that among the endless fields of rot, a diamond inserted into his tooth will shine and glisten. Dental decoration is communication with eternity. One who communicates with eternity is stronger than all members of tribe, therefore more dangerous. Decoration becomes an indication of strength and power, a promise of retaliatory violence in response to violence, a warning against attack. A jade stone, inserted into the tooth of the tribal leader, makes earth tremble under his feet, and reminds men of the tribe of subordinance. Leaving the world of ancestors, at the entrance to eternity, leader presents jade as evidence of his exploits on the side of the living. Thrill and Sorrow takes on the ideas of the common soil and power, history and memory, death and eternity. Its jaws reveal the frozen grin of the past. Its teeth separate the fibers of our daily bread, connecting the past with the present — and that is why the art of embellishing our grin with gold and jewels lives on. Behold this static grin. Despair and tremble thinking of these doors to eternity opening for one of us. In this place familiar phone numbers or google maps won't work. We will recognize each other by the shine of golden crowns that embrace our molars.